The California Childcare Health Program website has information in Spanish and English for all health-related topics. KidsHealth is the largest and most visited site on the Web providing doctor-approved health information about children from before birth through adolescence. Created by The Nemours Foundation’s Center for Children’s Health Media, the award-winning KidsHealth provides provides families with accurate, up-to-date, and jargon-free health information they can use. KidsHealth has been on the Web since 1995 – and has been accessed by about 250,000,000 visitors. On a typical weekday, more than 350,000 people access KidsHealth’s reliable information. 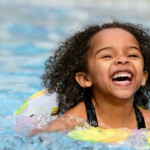 KidsHealth has separate areas for kids, teens, and parents – each with its own design, age-appropriate content, and tone. There are literally thousands of in-depth features, articles, animations, games, and resources – all original and all developed by experts in the health of children and teens. Wondering how to keep your child healthy? Need symptom or treatment information? Look under the symptom or disease headings at this link. 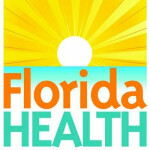 The Florida Department of Health offers services and programs to help you. Since December 1989, the PA Chapter of the American Academy of Pediatrics (PA AAP) has operated the Early Childhood Education Linkage System (ECELS). Now operating Healthy Child Care Pennsylvania, ECELS provides health professional consultation, training, and technical assistance to improve early childhood education programs in the Commonwealth. To carry out this work, the PA AAP links the resources of government, early childhood educators, and health professionals. 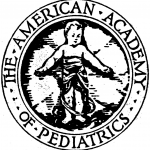 The official Web site of the American Academy of Pediatrics-an organization of 60,000 pediatricians committed to the attainment of optimal physical, mental, and social health and well-being for all infants, children, adolescents, and young adults. Whether you’re looking for general information related to child health or for more specific guidelines concerning a pediatric issue, you’ve come to the right place. Here, you’ll find information regarding the Academy’s many programs and activities… our policy statements and practice guidelines… our publications and other child health resources… and much, much more. Best of all, you can rest assured that the information comes from the nation’s leading child health experts and that we have scientific research supporting our recommendations. 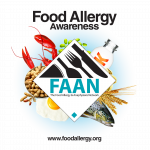 The Food Allergy & Anaphylaxis Network (FAAN) was established in 1991. FAAN’s membership now stands at more than 26,000 worldwide and includes families, dietitians, nurses, physicians, school staff, representatives from government agencies, and the food and pharmaceutical industries. FAAN serves as the communication link between the patient and others. 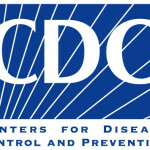 The American Academy of Allergy Asthma & Immunology is a national non-profit, tax exempt organization that has designed this website to help connect you with educational materials, support groups, publications and product information to assist you with your understanding of natural rubber latex allergy.